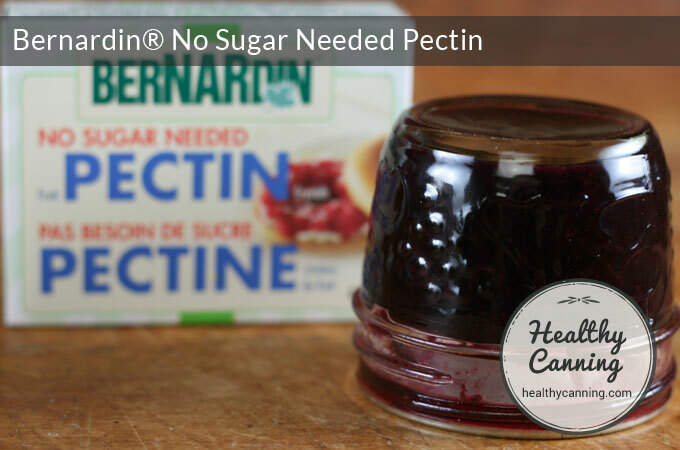 Bernardin offers a “no sugar needed” pectin for use in jams and jellies. 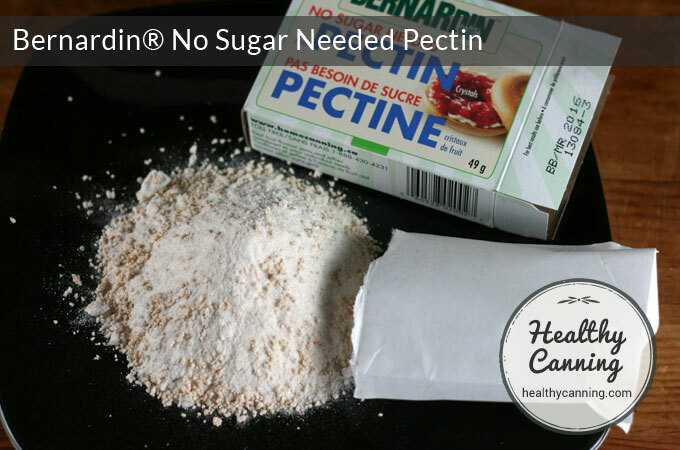 Normally sugar is required to get pectin to set, but this pectin requires no added sugar at all for the gel to happen. 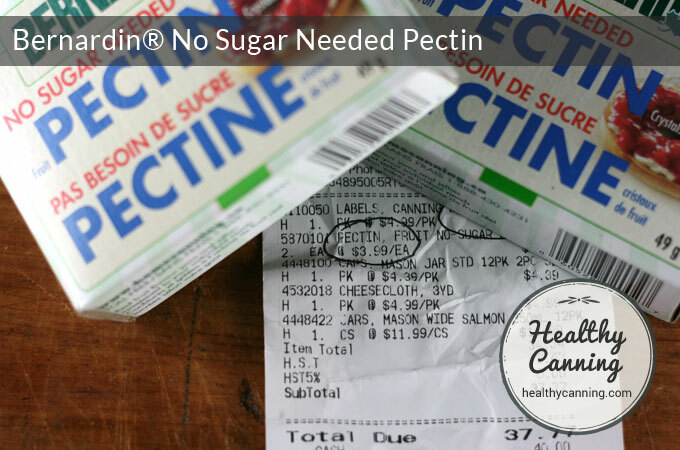 Note: if you are in the States, this pectin is sold labelled as “Ball.” See here. 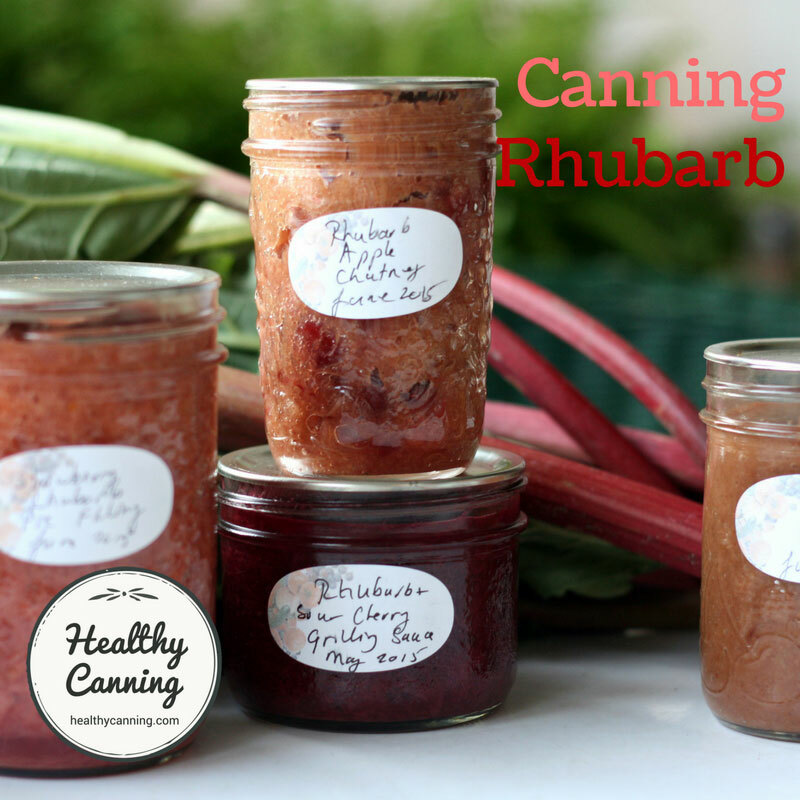 This pectin will give you a good old fashioned, hard set. 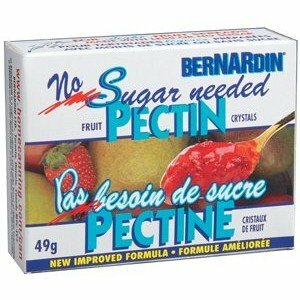 While some no sugar needed pectins will give a bit of a soft set, Bernardin’s gives a good, old-fashioned “an earthquake wouldn’t move it” set. 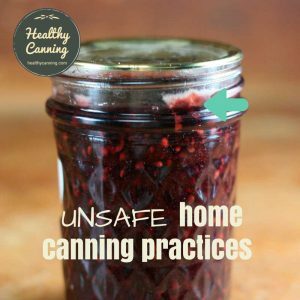 Notice how you can’t even make the jam move by turning the jar upside down. 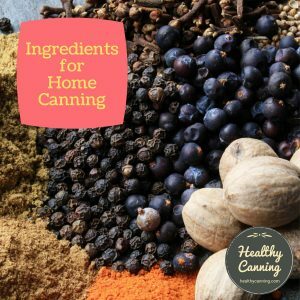 The back of the box gives a general guidelines recipe, which is helpful. 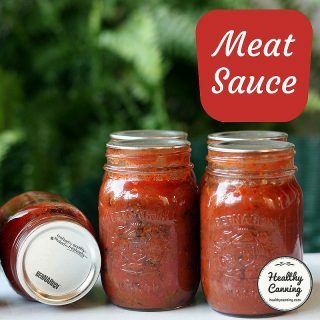 It also gives nutritional information, and ingredients. 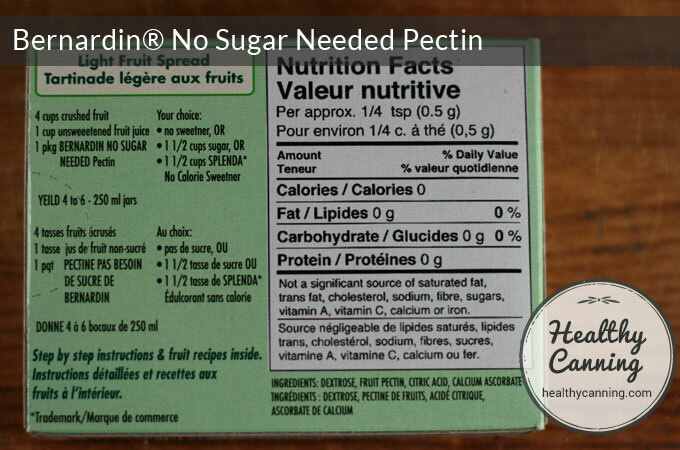 Note that it lists dextrose (aka glucose) as its first ingredient, which is essentially a form of sugar (dextrose plus fructose = sucrose) so it could be debated whether the pectin itself is sugar-free. 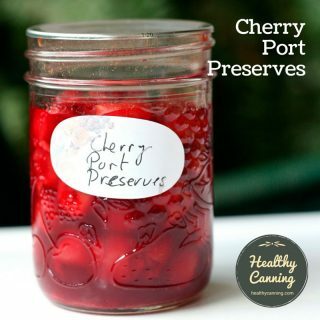 It is not cheap, though, that’s for sure: at 4 bucks a pop per box, it could cost more than the fruit you are using for your batch of jam. It is pricey, there’s no two ways around that. 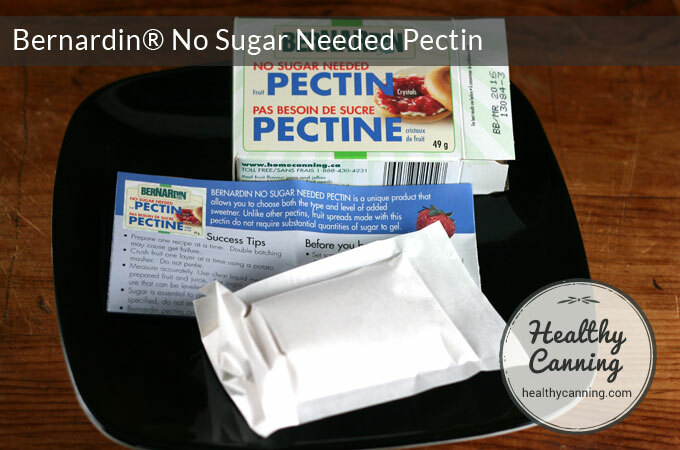 Each box contains a limited recipe leaflet, and the actual packet of pectin. 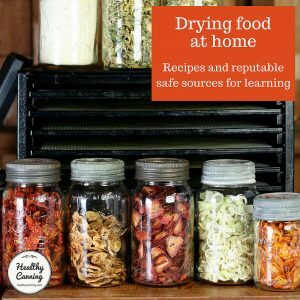 There’s a few more recipes on Bernardin’s web site, and nine more in the Bernardin 2013 guide, but that’s about it. 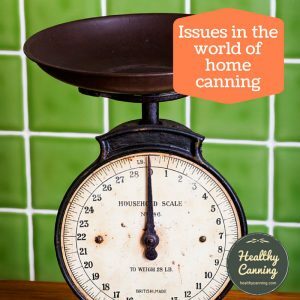 For the most part, Bernardin’s recipe developers are pretty set in their old-fashioned, high-refined sugar ways. 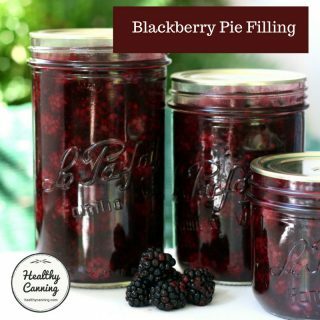 It would be nice if eventually all their jam and jelly recipes provided optional directions for using this pectin instead of their regular pectin which requires the added sugar. There’s a glimpse of the leaflet above. 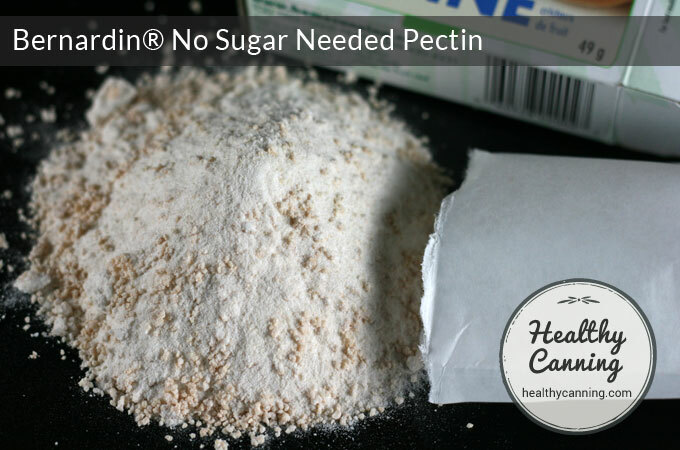 There’s a close-up of the pectin. 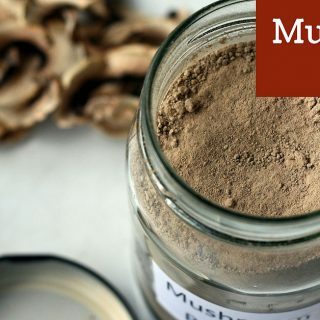 Notice the brown granules in it. A photo of the sides of the boxes, showing their help line. 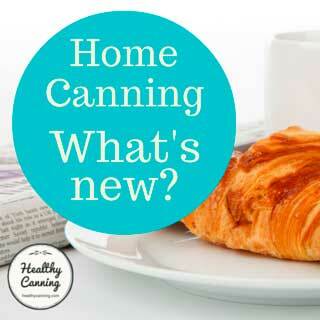 Note that you can use reduced sugar, no sugar, or an alternative sweetener. 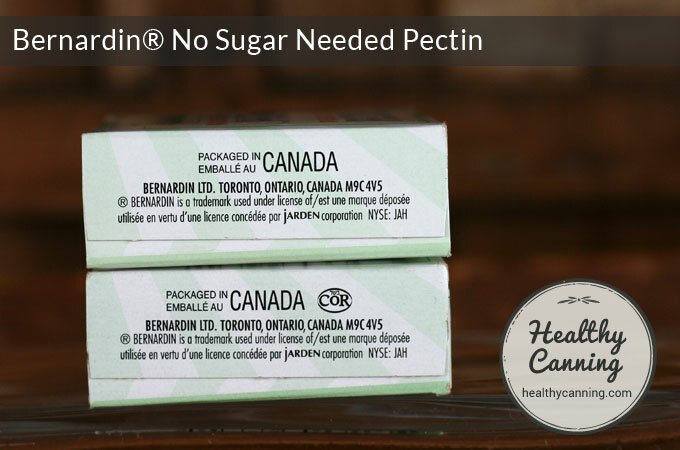 The pectin is made by Newell down in the States, presumably in the same factory as the Ball pectin whose ingredient list is identical, and then shipped to Canada for bilingual and metric packaging there. How can I buy it in USA?? 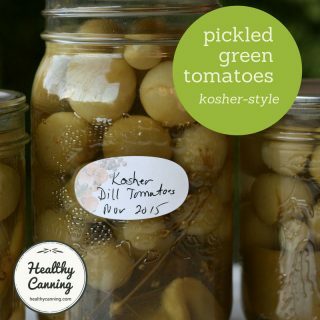 In the US, look for it being sold under the Ball brand name. 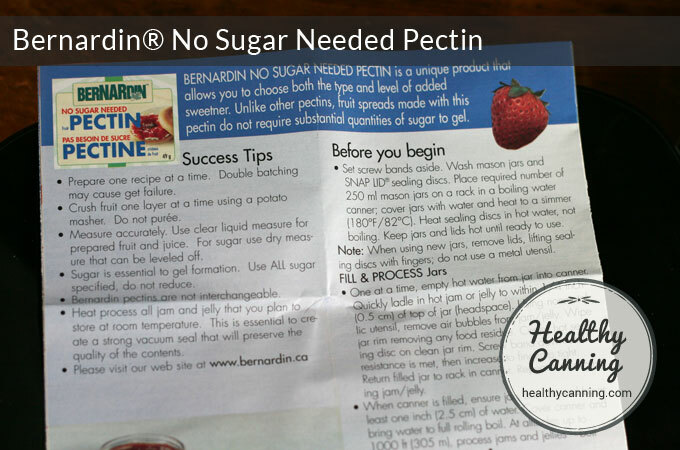 Can you use the regular Bernardin no sugar added pectin for freezer jam instead of the sugar free freezer jam pectin? 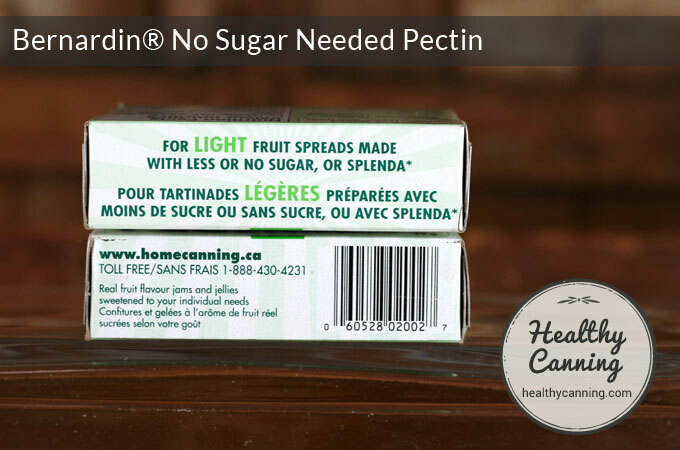 What stores in Canada carry your no sugar needed pectin? 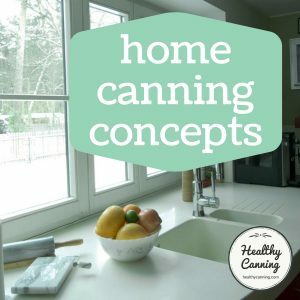 Home Hardware and Canadian Tire are two of the stores that do. 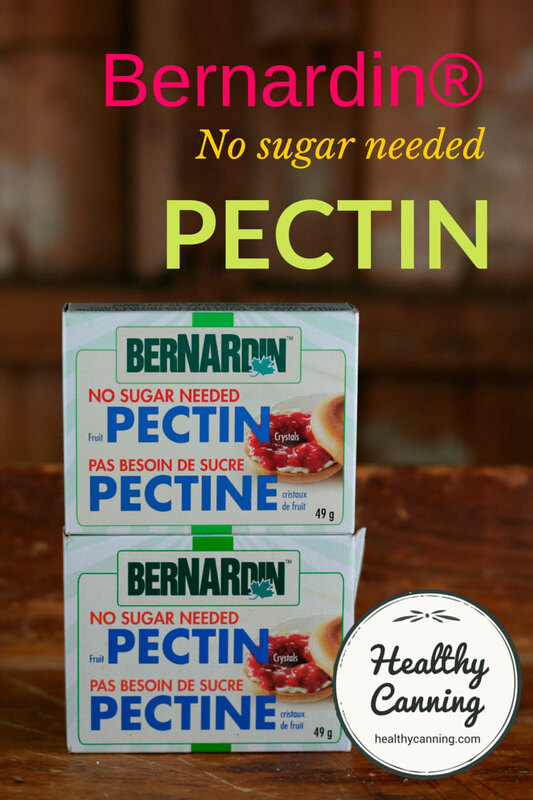 I’ve been trying to find out if Bernardin No Sugar Pectin is MADE in Canada. So, no, it’s not. It’s a little deceiving when you buy something “packaged in Canada”. Oh well.. better than nothing, I suppose. 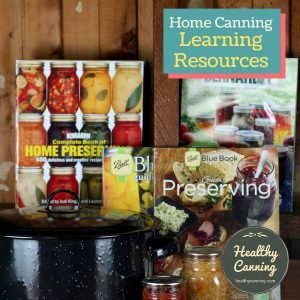 I’ve noticed it’s hard to find recipes other than the limited ones on the box.